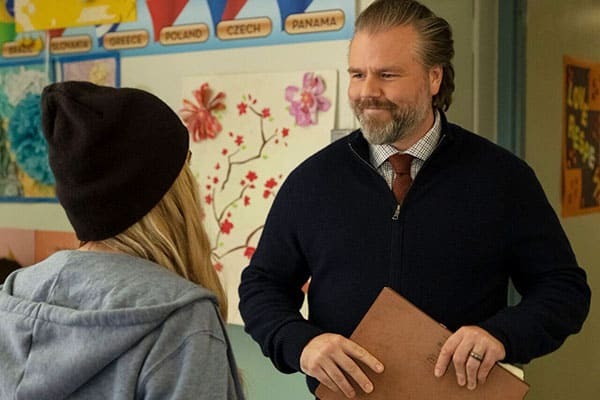 Actor Tyler Labine recently appeared in the thriller Escape Room at the same time he has been appearing on the NBC medical drama New Amsterdam. It’s not surprising because Labine’s thirty-year acting career has been filled with variety in terms of media (television and film) and material (comedy and drama). In an conversation with Flickering Myth, Labine speaks extensively about the variety in his career and what he has learned from acting in so many different types of projects. “I feel like, what I’ve always said is, in order to know what’s funny, you need to know what’s not funny. You can’t stand on a platform if you don’t know what’s sort of the opposite of what you’re trying to achieve. So I feel like, as a comedian, the way that we manipulate people is pretty formulaic- it’s because we can understand exactly what’s not funny, and then move you away from that. It’s almost like a magic trick, you know, it’s all about distraction and misdirection. I’m on an hour-long drama; we shoot each episode in eight days, which is a lot for 58 pages of shooting, so proficiency of your craft really gets honed in on T.V. And when you get into a situation like with Escape Room, where we didn’t have all the time in the world and we were shooting a pretty high page count as well, it feels familiar: it feels like I can rely on the fact that I know you can get what you need out of me in one or two takes. I don’t need 20 takes to nail something. That’s never the issue. I’ve been acting for 30 years, so I feel like I’ve gotten pretty proficient at getting what directors need right out of the gates. The real issue, for a lot of actors who have been doing it a long time, is keeping it going. If you want to do 15-20 takes of me doing the same thing, I have to come through every time cause you could use any one of those takes.